I am pleased to inform that our current Head of Controlling Olav Andre Braaten has accepted the position as Group CFO for the company. 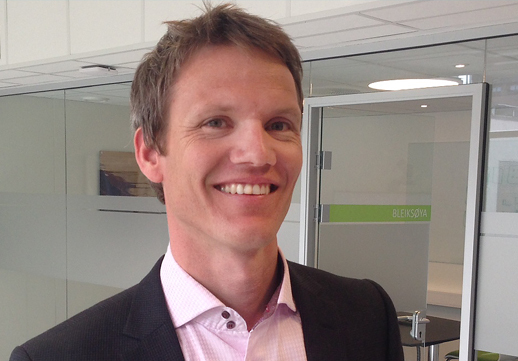 He assumes the position after Lars-Petter Østlie and will have primary responsibility for accounting, financial reporting, finance and controlling in the company. Olav joins the corporate management team. Olav is a Chartered Accountant and holds a Master’s degree in Accounting and Auditing from BI Norwegian Business School. He has completed studies at the University of Queensland in Australia. Olav also holds a Master of Science degree in Industrial Economics from the Norwegian University of Science and Technology (NTNU) in Trondheim. He has previously worked as a senior financial controller at Tele 2 and been manager for Deals / Financial advisory services/Assurance in PwC as well as a business consultant at Accenture. Lars-Petter assumes the role of Chief Administration Officer (CAO) for Norway with corporate responsibility for purchasing (procurement) and ICT. He will initially work to ensure a good overlap and transfer of tasks to Olav. Lars-Petter will continue to report to me. Lars-Petter is looking forward to provide operational support. He will be a significant asset in coordinating all our activities in Norway. He will also for sure be a valuable resource in larger challenges in the company. I believe these changes will have an impact on our bottom line!